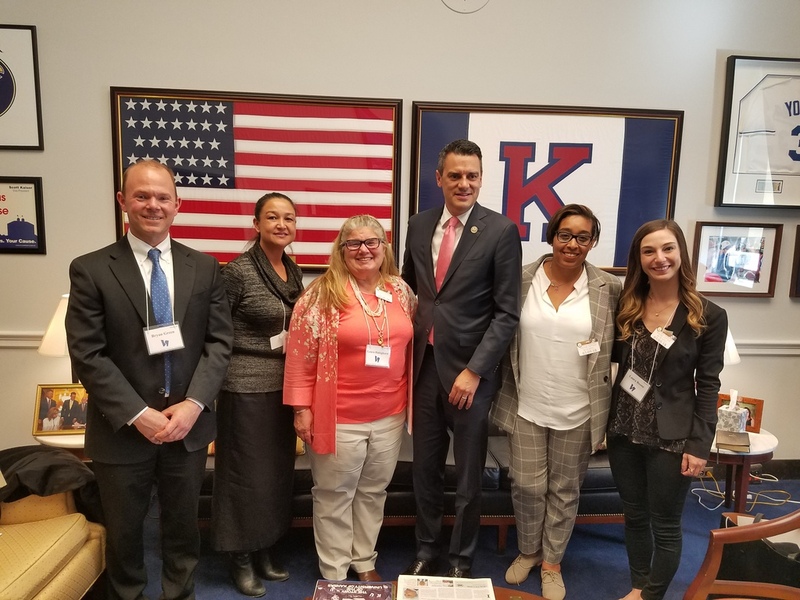 Dr. Bryan T. Green of Digestive Disease Group, PA went to Washington, D.C. again this year on March 4th and 5th to meet with several senators and congressman to advocate for eliminating the “polyp penalty” for Medicare beneficiaries. This “penalty” occurs when a polyp is detected and removed during a Medicare screening colonoscopy and results in the patient having a cost share for the procedure rather than having it fully covered as a screening exam. He also advocated to reduce “step edits” that health insurers use to require patients to try and fail several less effective medications before they will cover the more expensive, but also more effective medication. Dr. Green is the current President of the South Carolina Gastroenterology Association that represents over 100 gastroenterology physicians in the state. 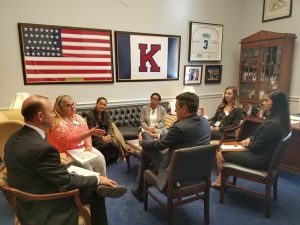 The trip was part of the public policy forum for the Digestive Disease National Coalition (DDNC) which is a national advocacy organization for patients with digestive illnesses. 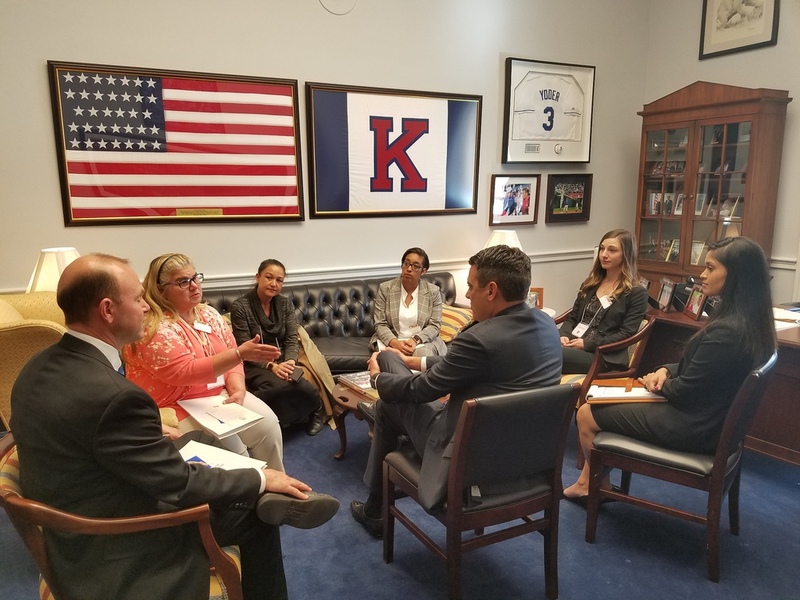 In conjunction with its member organizations, DDNC seeks to raise awareness of digestive diseases in Congress and in the media. There are over 40 organizations within the DDNC including the American Gastroenterology Association, Celiac Disease Foundation, Crohn’s and Colitis Foundation of America, Colon Cancer Alliance, and a number of state gastroenterology associations along with many others. 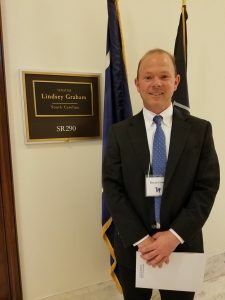 Dr. Green had appointments at the offices of Senators Kyle Christian of Kansas and Kamala Harris of California and Senator Lyndsey Graham of South Carolina. He also met with Congressman Kevin Yoder and visited the offices of Representatives Jeff Duncan and James Clyburn of South Carolina. March is National Colon Cancer Awareness Month. Colon cancer is the second leading cause of cancer death in the United States and one of the most preventable as it begins as a single polyp that if identified during colonoscopy, can be removed before it ever becomes cancerous. Due to increased screening, the United States has been one of the first countries in the world to actually show a decreased incidence of colon cancer. If all eligible individuals followed current screening recommendations, it is felt that over 70% of colon cancers could be prevented.